Steak salad is a delicious yet easy to make with leftover gourmet steaks. 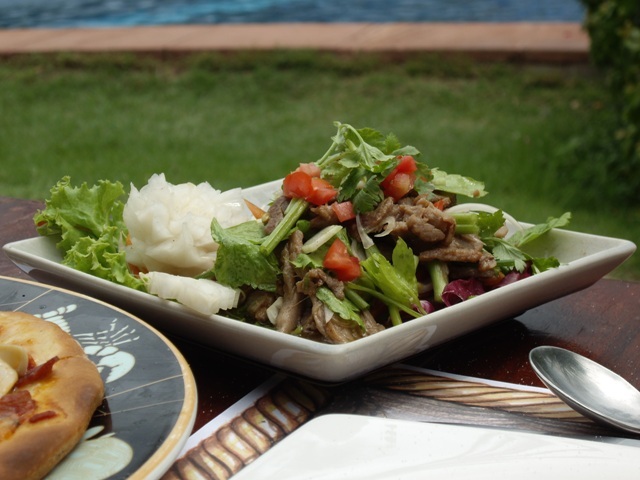 It is an interesting twist on the typical slices of steak over salad greens with dressing you preferred. You may dash up a bit with whatever you might have on hand – walnuts, goat cheese, pomegranate seeds, kumquats, etc. This recipe features roiled sirloin on Romaine lettuce with roma tomatoes, mushrooms, walnuts, and blue cheese with a smoky dressing. Preheat oven on broiler setting. Broil steaks for 3 to 5 minutes per side, or to desired doneness. Allow to cool, then slice into bite-size pieces. On chilled plates, arrange lettuce, tomatoes, and mushrooms. Sprinkle with blue cheese and walnuts. Top with steak slices. In a small bowl, whisk together oil, vinegar, lemon juice, salt, pepper, Worcestershire sauce, and smoke flavoring. Drizzle over salad. Arugula is a particularly good complement to gourmet steaks salad, though the pepperiness of the arugula can at times be a little too much if not mixed in with some other salad greens. If you are looking to have a nice meal of steak with your family or friends, and you do not have time to head to the butcher shop or supermarket and buy yourself, you can get the services via the internet by simply heading to the website that is selling steaks via the net. However when it comes to selecting steaks online, a good number of people find it hard as they may not be knowing which part to select before ordering and at times trust in issues do come in because many do not believe that they will get the best steak delivered. To help you go about the process of buying steaks online, here are a few tips that you can use. First thing that you need to do is to take full advantage of your gourmet butcher’s knowledge. These people have a lot of information regarding steaks and they will gladly share it as long as you ask them. Become good friends with them and when inquiring about steak, it is better to ask which part is the best, how can you can prepare it and also when making an online order, it is better to ask for the best meat of that particular day. Once you get to establish some relationship with your butcher you can easily buy steaks online as you will be able to know what to go for and at the same time get to trust their service. It is also better to go for the highest grade of steak that you can be able to afford. Meat is usually graded from the lowest quality to highest. If you can, go for the Prime as it softer and juicy compared to most in the market today. But Choice too is also not bad, when buying select the best grade under it as they are many. Differentiating among the various types may be tricky but you can get this information from your butcher. When searching for sources to buy steaks online from, there many you can find but do some research to in order to select the best. For most people it is impossible to have a meatless diet. No matter the type of meat you prefer to take , it is imperative that it is handled with a lot of care. 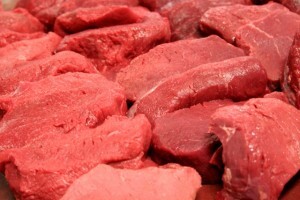 This is because meat can easily get spoiled or contaminated if it is not well stored or prepared, especially raw meat. How then can you ensure your local butcher is taking precautions when handling meat. Is your local butchery licensed to operate in that area? A licensed operator will have undergone the various health tests and procedures that shows he/she is ready to be in operation. This will usually be done by the respective authorities. Your local butchery must always be clean. Whatever equipment is being used to cut the meat, make sure it is clean before you buy the meat. It is also important that whoever handles the meat doe not handle anything else. What this means is that, there should be someone else who will take the money, or they should wash their hands before doing so. If you notice any behavior that you feel is fishy you may inform the authorities. One of the most important things to do to your meat is storing it. 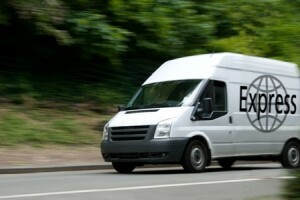 How does your meat delivery service provider stores the meat he/she is selling to customers? For a healthy and delicious meat you will need fresh meat. This means that if the meat is not stored well, your food will also not come out right. It is therefore, important to know how your local meat provider stores and displays his/her meat supply. Having them in a freezer is a sure way to know that the meat you are buying may be in good condition. It is only if you buy meat that has been well handled that you will get to enjoy eating it. In ensuring your local butcher handles the meat he/she sells well, you will save yourself a visit to the doctor, as well as get the best meal from your meat. Preparing meals always takes time and needs talent for taste. It can be a tough time for busy people. But we all do want to have an easy-to-cook meal that’s worth a treat, don’t we? Then Steak Marinade Recipes suites you especially if you like meat. So take out your favorite meat for a treat. Steak Marinade Recipes can be cooked with various ingredients and flavorings. The main composition of the marinade is an acidy food or liquid and good examples of this are wine, tomato sauce, pineapple juice, and vinegar. The marinade is so easy to prepare that you just have to combine the ingredients such as oil, soy sauce, vinegar, lemon juice, black pepper, and your other choice of ingredients and spices. Steak Marinade Recipes indeed will take some effort off cooking. You should know the excellent way to marinade your steak before preparing your marinade. Microorganisms tend to multiply fast on warm meat. Thus, meat should always be kept cold until it is time to cook. So always marinate your steak in the refrigerator. Steak is best eaten when it is tender and flavorful. The more time the steak is marinated, the longer the time the ingredients can soak into the steak to tenderize and flavor. Marinating your steak in the refrigerator makes the steak marinade recipe suitable for storage, where you can just pull it out from the fridge and is ready to be cooked. Cooking the Steak Marinade Recipe is so easy that you just pull it out from the fridge, boil or heat it until the steak is tender to your choice, then serve. It is also economical in a sense that the remaining marinade can also be used to baste your steak while it is cooking, or you can boil the marinade to make it as sauce. The Steak Marinade Recipes contain basic ingredients that, when combined and allowed to blend, will give you a tender, juicy piece of meat every time. Whether you are planning to host a special event or a family get-together party and you don’t want go through the hassle of preparing beef for your guests, you can opt to ordering your favorite beef online. There are different types of beef to choose from depending on the type of event you are hosting, number of guests and of course your budget. There are a number of online beef steaks to choose from. The first hint towards getting what you are looking for is sampling the beef cuts you see on your online beef dealer or caterer. Carefully choose your favorite beef by looking at different prices according to your budget. Ensure that you keep your guests’ flavor in mind, if you are not sure, it’s advisable that you pick on the widely acceptable steaks. 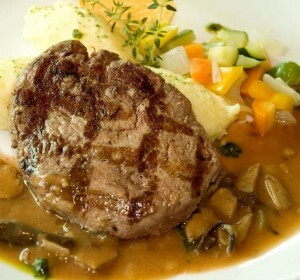 Apart from selecting the desirable beef, beef steaks can also be selected based on the method used in cooking. Different cooking methods are always used in achieving different flavors of beefs. This calls for learning some of the available beef types of steaks. For instance a tender cut can be roasted for better results. Locating the origin of the beef from the body parts of the carcass is vital in identifying the various names of beef cuts you are looking for. Beef that is injected with flavorings might not be the best, because that might make your beef break down easily. Look at the kind of packaging used buy the online caterer. This will determine the quality and cleanliness of the of beef you are ordering for. A good caterer should be able to customize your package to fit your needs according to your order. It’s also encouraged that you consider ordering beef online from established firms that will guarantee you more value for your money. Are you planning for a delightful yet easy to make and affordable steak dinner this weekend? Or are you one of those working individuals who think it difficult to find some extra time to cook a round steak for dinner? Some people might find it hard knowing that round steaks would take several hours to cook. Then let your dinner cook while you’re at work! With these ingredients and a simple crock pot, you can make it possible! Following these few easy steps would make your dinner delightful as you imagined. Round steak recipe with gravy sauce requires a little effort, money, and time. Cut your round steak into five to six pieces. Place them in your crock pot. To the round steak, add the 1.5 ounce (42.5 grams) package of Lipton’s Onion Soup Mix. Next, add 1/4 of a cup (60 milliliters) of water. Finally, add one 10.5 ounce (297.6 grams) can of Campbell’s Cream of Mushroom Soup. Stir your ingredients to ensure that everything has a chance to combine nicely. Cover your crock pot and and set the temperature on low. Allow the round steak to cook for six to eight hours. *Makes 5 – 6 individual servings. When you get home, a steak stewing in a pot of brown gravy with a sweet aroma of mushrooms and onions will greet you. 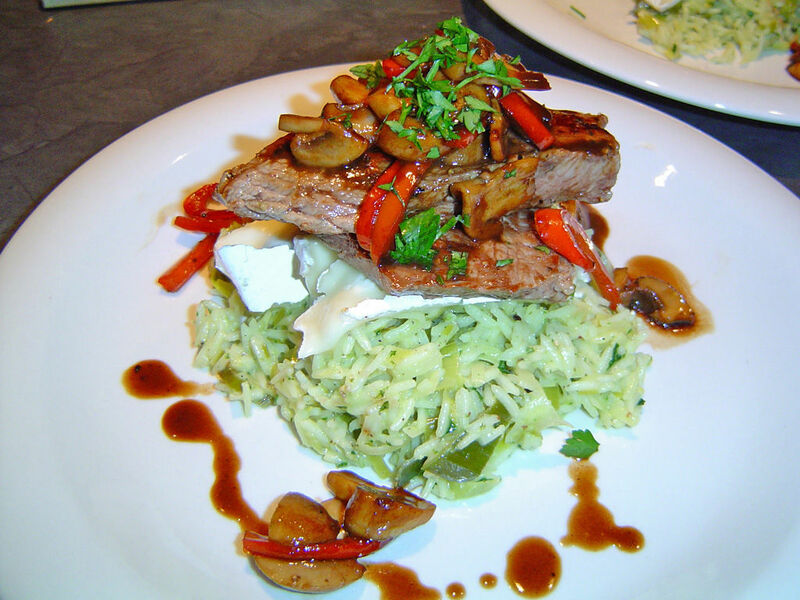 Plate your round steak over a bed of rice or mashed potatoes. To balance your meal, you may want to serve it with a side of steamed vegetables. This way, your dinner will look and taste magnificent! If you’re trying to balance your lifestyle and career, this simple round steak recipe with gravy sauce is perfect for your planned dinner without risking those hours of work and would fit any budget. For gourmet steaks, the first important factor is the choice of beef. Firstly, the cow, that will be used for the meat, must be bread specifically for beef. For primary beef, cow should be the fed with corn. Another important factor is the time when they are slaughtered. For true gourmet steaks, the cow should be from a year and a half to two years old. 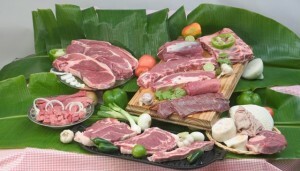 There is a large variety of types of gourmet beef steaks to choose from. The Filet Mignon is a cut from the small end of the tenderloin. This is the most tender as well as the most expensive cut. 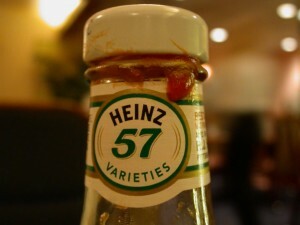 Its mild flavor makes it the favorite choice for many gourmets. Also known as Scotch fillet, Spencer steak or beauty steak, a rib eye steak comes from the primal rib. While prime rib is typically oven roasted, rib eye is typically grilled. The Rib eye is full of juice and flavor, making it a true gourmet steak, that can be served with or without the bone. Also known as rump steak or rumsteak (French) is a cut from the rump of the animal. Round steak is a true grilling steak. It is well known for its flavor, however it can be tough, if you do not cook it properly. Also known as New York strip, Entrecôte or Kansas City strip is steak cut from the strip loin. Strip loin muscle is very low in connective tissue, which makes the strip steak very tender. 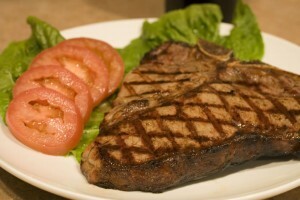 T-bone steak is a cut from the tenderloin and strip loin. It is connected with a T-shaped bone, from which T-bone steak gets it’s name. The difference between the T-bone steak and Porterhouse is distinguished by the amount of the tenderloin. 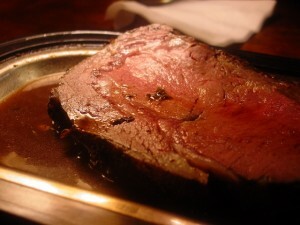 Porterhouse has a larger tenderloin section, which makes it a favorite choice of gourmet steaks for many connoisseurs. There are also several other foods that are also called “steak”, but these are not really steaks. A steak is a cut of meat, usually beef. 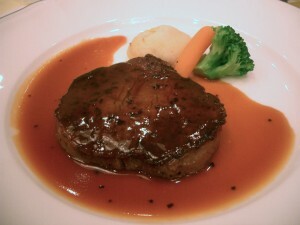 The most common one is probably the Salisbury steak, more commonly known as the “Hamburger Steak”. It is the least expensive “cut” of steak, because it is made of lower grade meat.